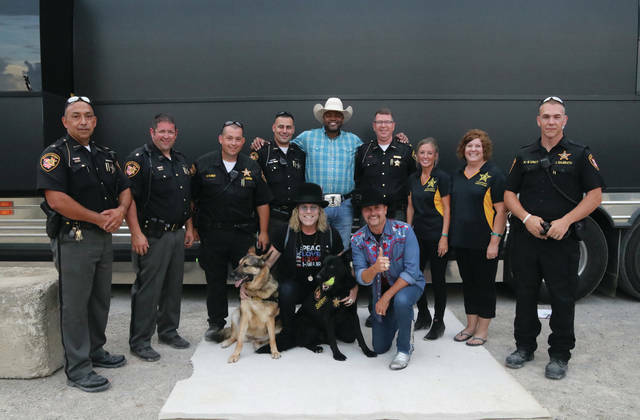 Big & Rich with members of the Fulton County Sheriff’s Department. 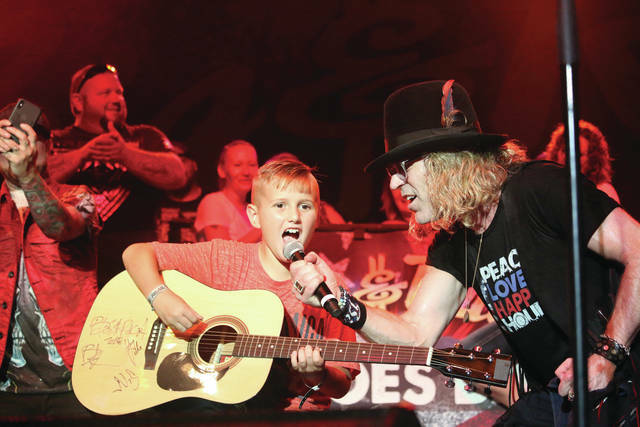 Kruez Lichtenwald, 9, of Fayette got to go on stage and sing with Big & Rich. 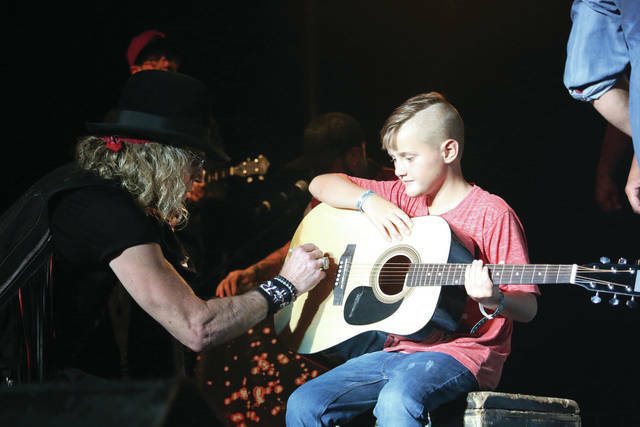 Kruez Lichtenwald of Fayette has a guitar autographed by Big Kenny of Big & Rich. 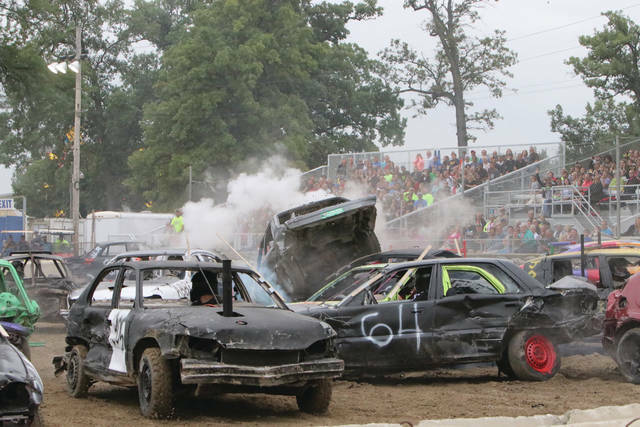 The demolition derby at the Fulton County Fair featured big collisions. 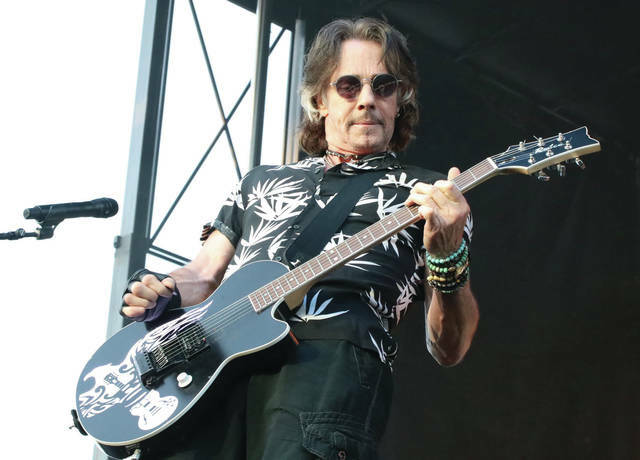 Rick Springfield rocks the fairgrounds. 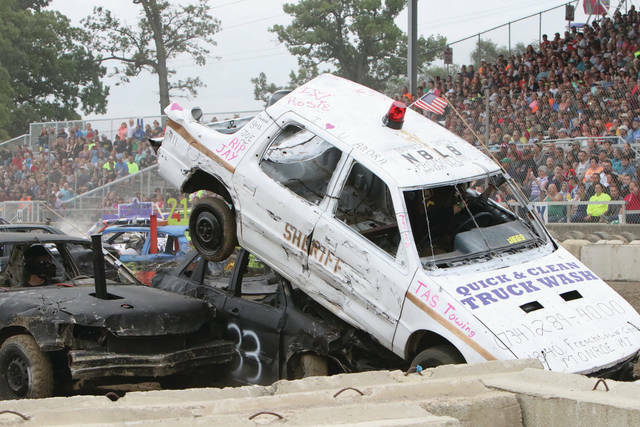 Vehicles can end up in precarious positions during the demolition derby.